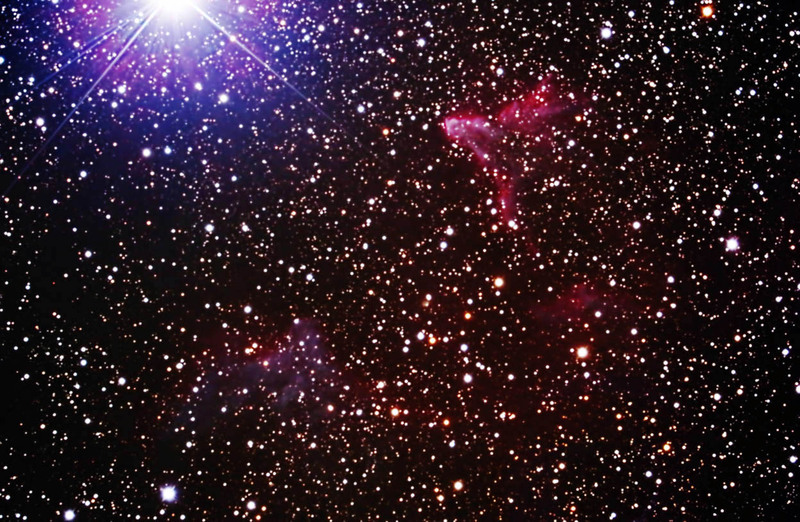 IC 63 (upper right) and IC 59 (lower left) are a combination of reflection and emission nebulae that lie approximately 600 light years away in the constellation of Cassiopeia. They are shaped by the strong ultraviolet radiation emminating from the bright star Gamma Cassiopeia, which lies only 3-4 light years away (partially visible at the extreme top left of the image). Taken from my backyard observatory in southeastern Minnesota on 12/4/15.